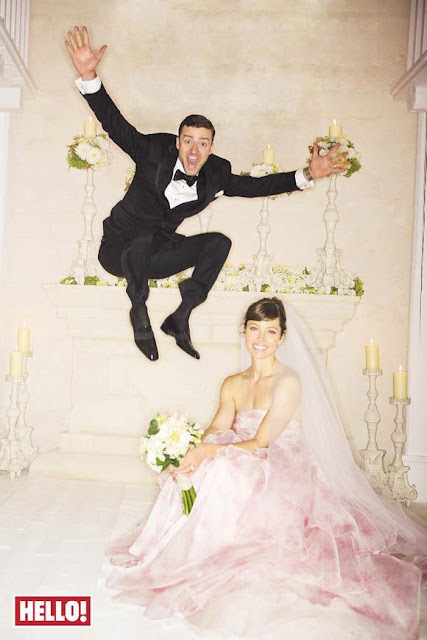 Yes, Jessica Biel and Justin Timberlake are now husband and wife. Two of Hollywood’s A-listers have bid farewell to their single life and tied the knot on Friday at the Borgo Egnazia resort in Puglia, Italy. Among the wedding guests were celebrity friends, including Andy Samberg, Timbaland and Beverly Mitchell. “It’s great to be married, the ceremony was beautiful and it was so special to be surrounded by our family and friends,” Justin and Jessica first told People.com right after the ceremony. Notably, the 31-year-old singer-and-actor sang one of his previously unreleased songs at the couple's nuptials, which saw The Roots' drummer Questlove DJ at the reception - and he dedicated the performance to his new wife. 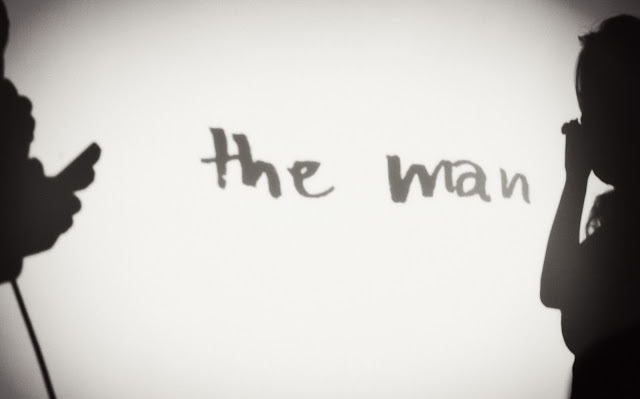 It is still unknown that if that song will make it to public ears. If you are a singer/songwriter, or simply love singing, you can consider adding a personal touch to the celebration by composing and singing a song for the special one. I have personally witnessed the bride, the groom, and the guests being moved to tears when a special song was sung. 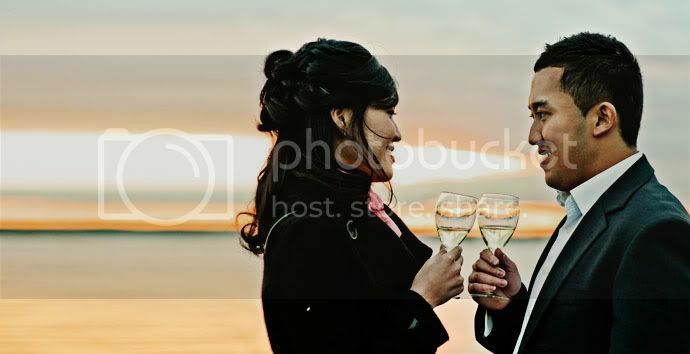 This little extra gesture could potentially stir up lots of emotions, thus allowing wedding photojournalists to capture and freeze that moment in time. Continuing from the topic of wedding veil, Hollywood A-lister Anne Hathaway also said "I Do" in a secret sunset wedding at the scenic coast of Big Sur, California on 29 Sept 2012. The 29-year-old actress tied the knot with actor/jewellery design Adam Shulman. The Dark Knight Rises star who recently chopped off her hair for the Les Misérables movie, sported a super-short pixie cut and didn't wear any extensions for her wedding. A lot of women probably imagine long flowing locks pinned into a meticulously braided updo (not that there's anything wrong with that) underneath a sheer veil, but Anne just proved that short hair on your wedding day can be just as beautiful. Anne also reported wearing minimal jewellery which is quite an interesting choice, given her husband is a jewellery designer and co-designed her engagement ring. However, not all of the people agree — especially on the matter of the headpiece.“looks like she had a serious head injury… hope she’s okay,” joked Twitter user danielleNhale. “I like the dress, but the head piece and bridal veil are awful,” added @SummerMarisa. Personally, I think with the face like Anne's, she can easily pull off any looks, including this one. That veil and headband combo complimented the pixie cut perfectly. As usual, dirt and dress doesn't play well together (unless you are going for a "trash-the-dress" photo), so get a helper to manage the dress and veil. It is usually the job of the bridesmaid, but husbands, you can start your new life on the right foot by learning from Adam. "We're getting married, probably sometime next year-ish. Not this year, it’s too big with two films coming out." Checkout more paparazzi pictures here. Former Neighbours star-turned-millionairess Holly Valance married Nick Candy in a large and lavish fairytale wedding on the weekend in Beverly Hills. The 29-year-old bride could have chosen any of the world's designers with what seemed like a limitless budget for her nuptials, but went back to her roots, opting for Melbourne couturier J'Aton for her full meringue-style skirt resembling feathers and a bodice-like top. Unfortunately, the dress has found itself on the end of some less-than-flattering criticism. The Daily Mail said the gown was a "Barbie-meets-Miss-Havisham frock...[with] cascades of pigeon-coloured frou-frou about the hem." While the Telegraph likened the gown to an all-inclusive British package holiday stalwart. Which is no good thing. The British newspaper said the "rag-taggle skirt...looked like it had been concocted from endlessly layered lettuce leaves faithfully reproduced in singed white silk." Nevertheless, Valance topped it off with an exaggerated lace veil in a vintage style which also acted as a train, and carried a dramatic dark-red bouquet, with the wealthy property owner wearing a Dolce and Gabbana tuxedo. The fifteen footer (4.5 meters) veil, although a traffic-stopper, is barely a fraction of the world's longest veil as confirmed by the Guiness Book of Records. 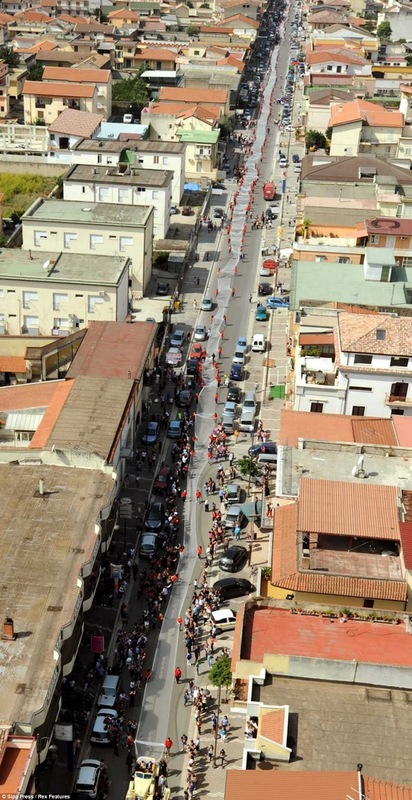 The bride Elena De Angelis from Italy arrived at church with a mammoth 3km (1.86 mile) long veil, literally a traffic-stopper! Oscar winner Natalie Portman tied the knot with Benjamin Millipied on 11 Aug 2012. The two met on the set of the movie "Black Swan" during 2009. 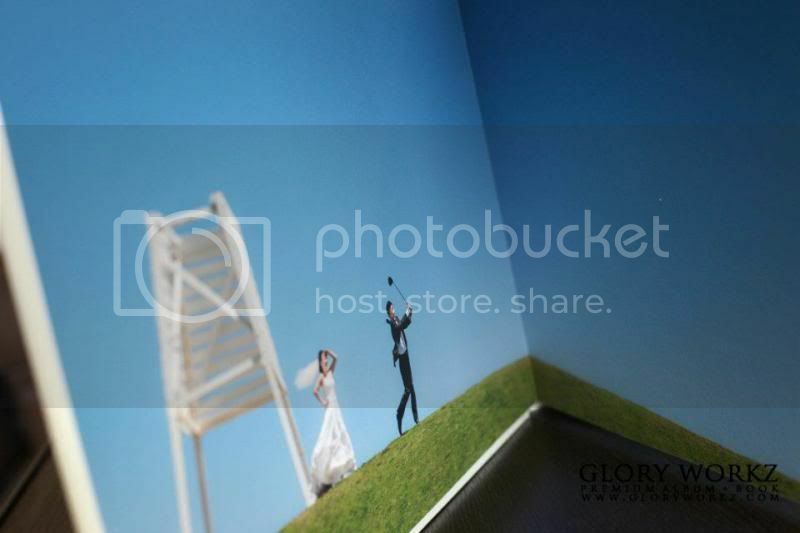 The wedding was eco-friendly themed and it reflected the couple's outlook on the world. Instead of having flowers flown in, the ceremony featured wildflowers indigenous to the Big Sur coast where the ceremony took place, and instead of "fish or steak", the menu was strictly vegan in keeping with the bride's diet. Portman, 31, chose a traditional white gown, complimented by a crown of white wildflowers in her hair. When things wrapped up around 2 a.m., the approximately 100 guests took home packets of wildflower seeds as party favors. The packets were inscribed with a single word: "Merci." 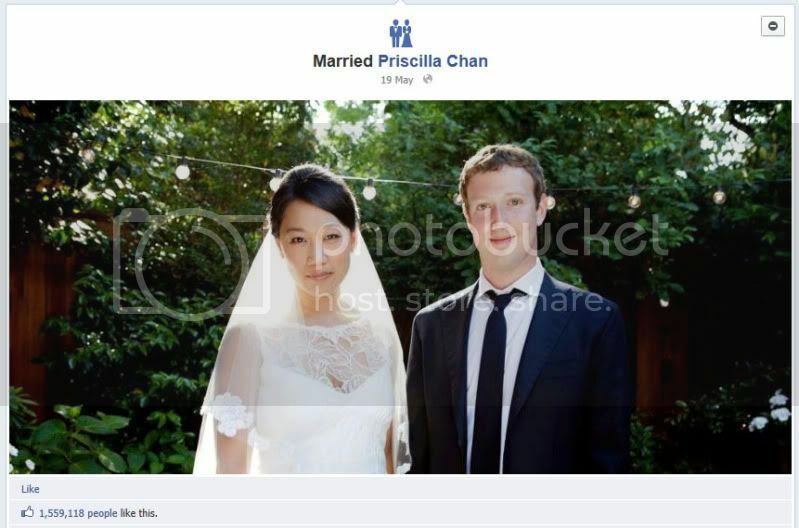 Themed weddings are favoured by a lot of wedding couples. It gives the guests something to remember, and possibly become talk of the town. Planning a themed wedding is rather easy. 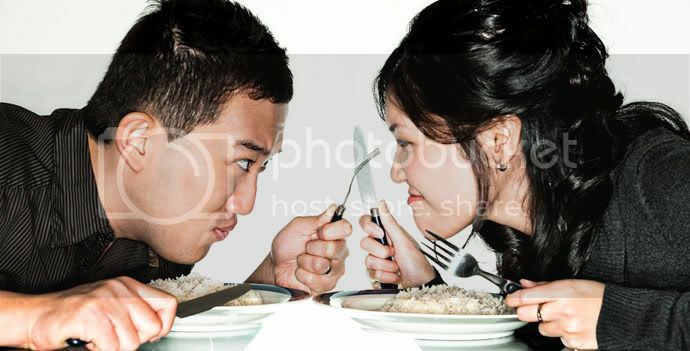 The difficult part is coming up with the ideal wedding theme itself. Wedding themes range from movie-oriented to personal beliefs such as Natalie's. Other themes could be colours, patterns, and symbols that are meaningful to you: a pretty patterned pillow can form an entire wedding theme. 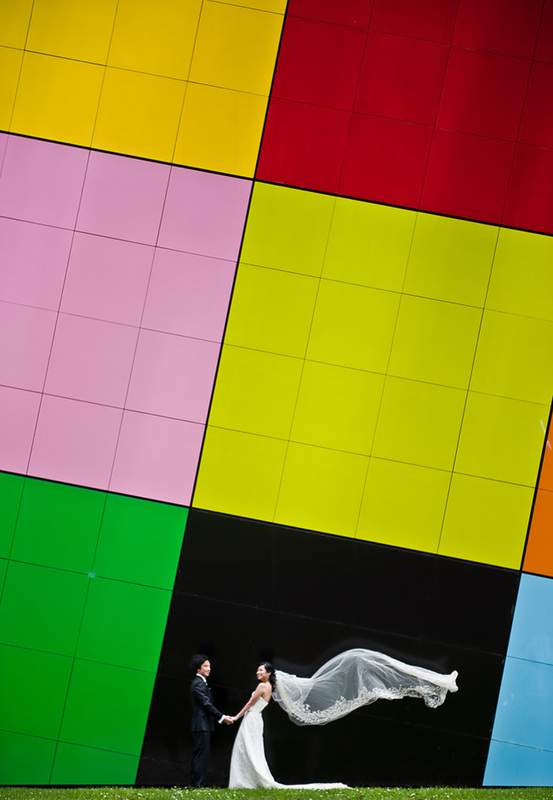 If your wedding has a theme, be sure to convey this to the wedding photographer in advance. 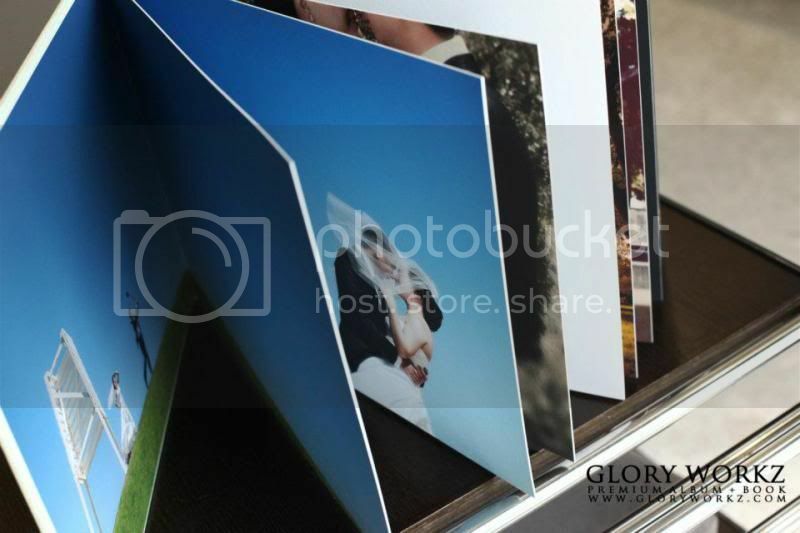 The photographer can plan and keep this in mind when shooting the wedding, and also design the album according to the theme, which ties up the whole event together. All the best to Natalie and Benjamin. 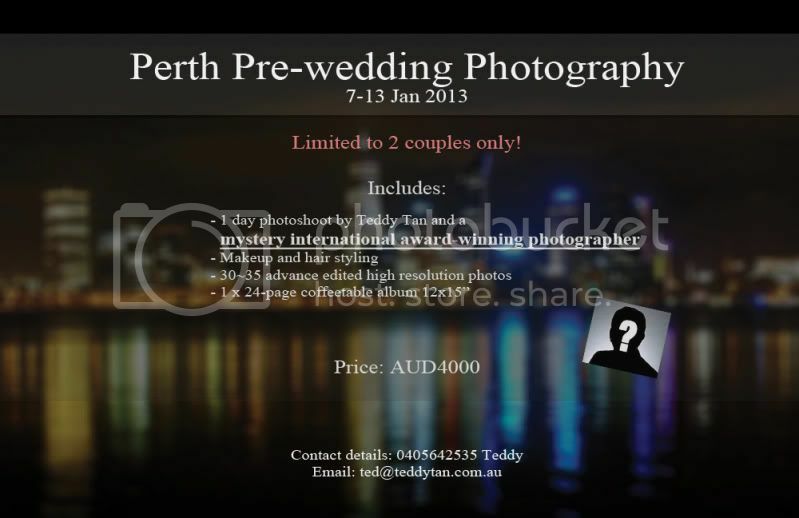 For the first time ever, Melbourne wedding photographer Teddy Tan is bringing his photography to Perth in January 2013. As a bonus, he will be collaborating with a mystery international award-winning photographer to create pre-wedding photography images just for you! 1 day photoshoot, including makeup and hair styling. 1 x 24-page coffeetable album. Call Teddy 0405642535 or email ted@teddytan.com.au for booking and enquiries. 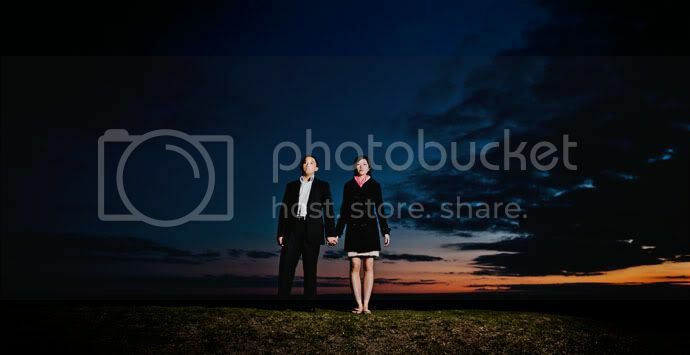 This photo was taken at an open field near Moora. I climbed onto higher grounds to capture the scenery being painted by the sunset with a gorgeous golden hue. This photo was taken at the University of Western Australia campus. The repeated patterns in the architecture and the reflection in the foreground make it an interesting view. This photo was also taken near Moora, on the other side of the road from the field shown in the first photo above. The yellow canola flowers and the light blue cloudy sky complimented each other so well that it looks like a scenery from a storybook. P.S:The balloons were brought along with us all the way from Singapore (Hint 1: I’m from Singapore) and inflated in Perth. The Crawley Edge Boathouse a.k.a that bue boathouse is a popular place for pre-wedding photography in Perth. To achieve something a little different, we went to a vantage point and shot this photo with the boathouse in the background. 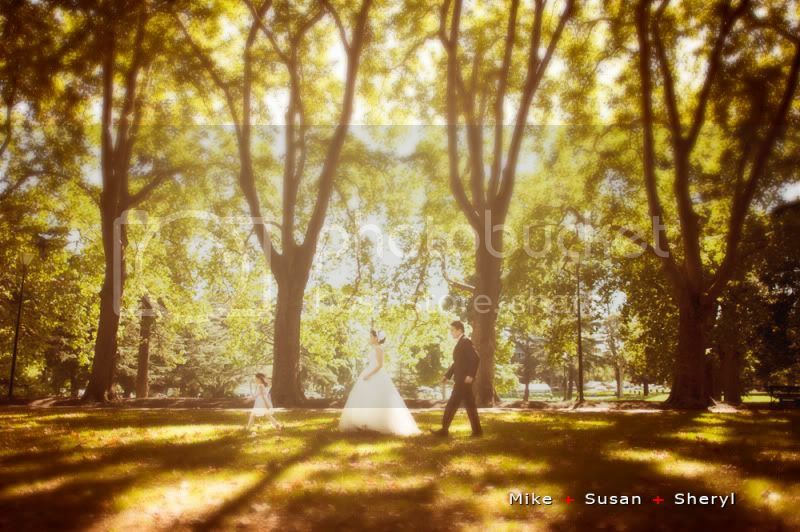 You might remember Michelle and Harry's pre-wedding photo session from almost 2 years ago. Below is some behind the scene video footage of it. The photographer in the video is a less cuddly version of me today. No human was harmed in the making of this video, though lots of food was devoured. Any questions regarding the equipment and setup can be asked in the comments section below. Enjoy. Many thanks to Sky17 Studios for the video. The Australian Traveller had just published the 100 Best Views in Australia Index 2012 together with information on how to see them for yourself! 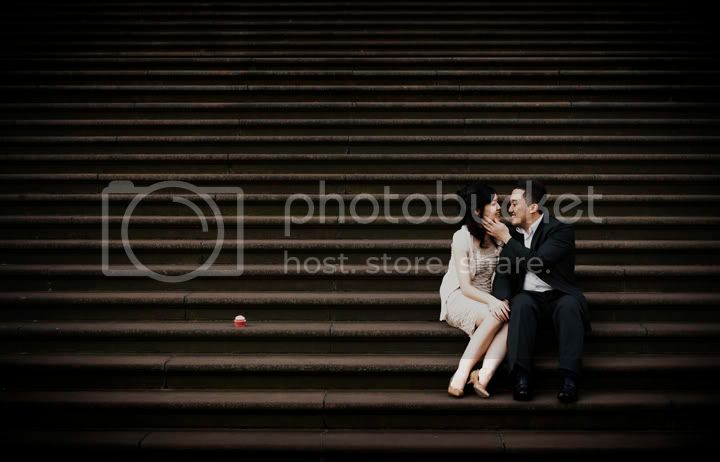 This is a great reference for pre-wedding photography locations! Number 1 (Great Barrier Reef) is a tough challenge but my personal favourite is the 12 Apostle (ranked number 3!). In fact, I just went there last week for a photoshoot! Very loooong drive but certainly worth it. The changing scenery along the way provides many photo opportunities as well - cattles, valleys, hills, grassplains, forests etc. Access to the 12 Apostle beach is via the Gibson Steps about 1km away. Legends have it that Mr Gibson carved out the stairs so he could get to his favourite fishing spot easily. Little Sheryl saw mummy’s wedding photos and was puzzled. “Why am I not at your wedding?”, she asked. Mummy answered, “We didn’t know where you are at that time”. 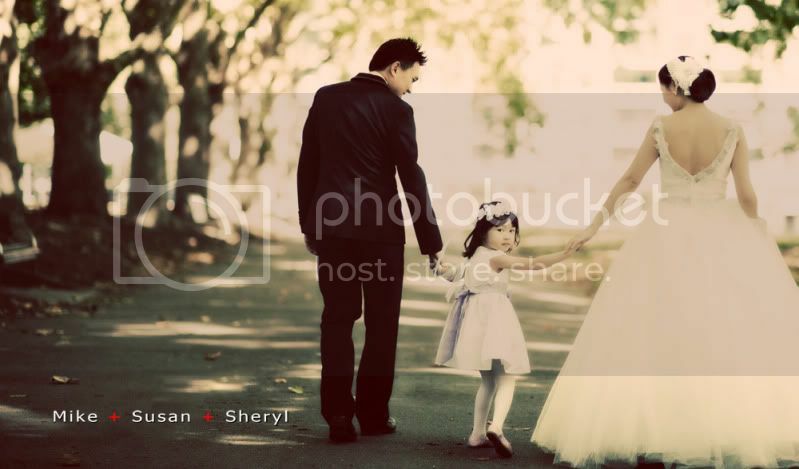 “Next time when you and daddy get married, be sure to take me along, I want to marry with you!”, Sheryl said. Yep, I looked exactly like the last photo as I type this post. For sale: 1200ws battery powered outdoor strobe flash. Up for sale is a 2nd hand outdoor portable photography strobe. This unit is rated at 1200ws and is able to achieve those "overpowering the sun" style of shots even with a softbox or beauty dish mounted on it. You can put in a bid on eBay or make me an offer directly. Email ted@teddytan.com.au . More information on this eBay link: http://www.ebay.com.au/itm/Jinbei-1200ws-location-flash-battery-powered-portable-RD1200-rechargeable-strobe-/310379871447?pt=AU_Cameras_Photographic_Accessories&hash=item484414fcd7. We have put together an 8-page brochure detailing our wedding photography services and products. Come in to see us and get a copy! 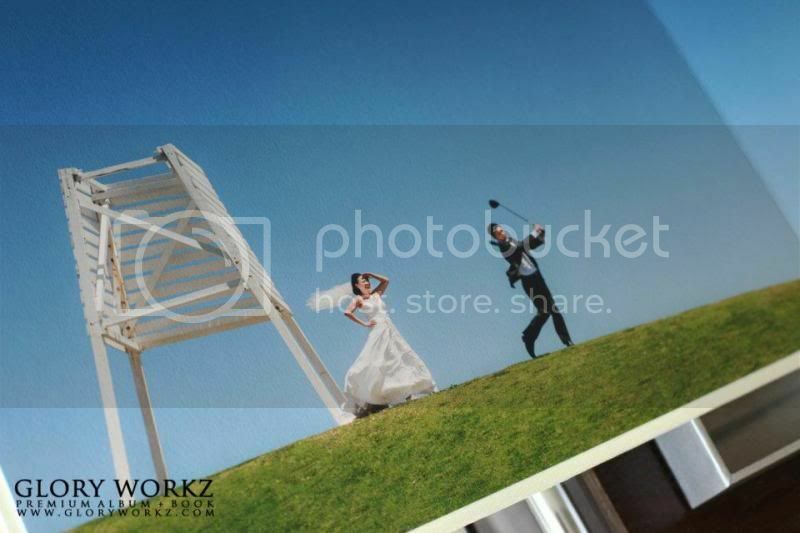 It contains information on our approach to wedding day photography and pre-wedding photography, and also details about our photobooks, coffeetable albums and fine art prints/canvases. There is also a writeup with previously undisclosed facts about Teddy!